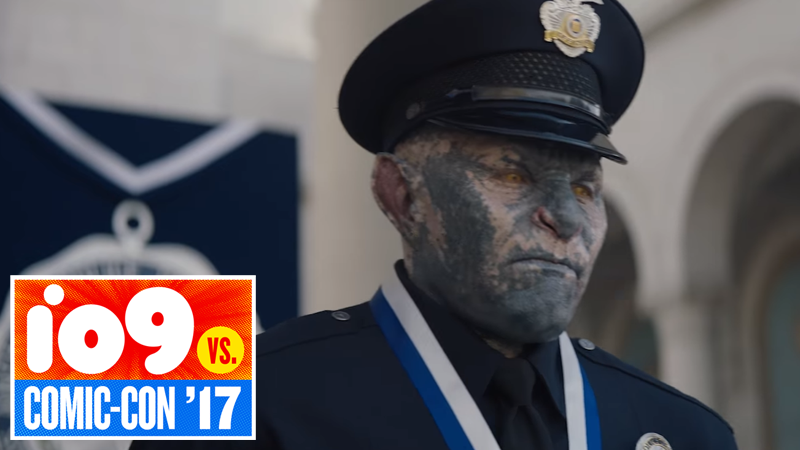 Our first look at David Ayer’s orc cop movie Bright (still sadly not called Orc Cops) barely scratched the weird surface of a movie that blends LAPD police drama with a world of magic and fantastical races. But its latest trailer really dives deep into the weird culture clash of a Los Angeles filled with magical species, and it’s really intriguing. Set in a modern fantasy Los Angeles, Bright follows a beat officer (Will Smith) who suddenly finds himself paired with a rookie Orc cop (Joel Edgerton), only to find the two uneasy partners thrust into a wild world of gang warfare and 1%-er elves when they track a case that involves an obscenely powerful magic wand. It’s hard to state just how totally bizarre a blend this—it’s kind of like a modern day-set Shadowrun mixed with Bad Boys. And so far, it’s honestly looking kind of cool. Bright hits Netflix December 22.